This garden at Plas Newydd was based on a Henry Repton design and is situated above the Menai Straits with lovely views of Snowdonia. This parkland garden on the Isle of Anglesey perched above the shores of the Menai Strait has a good collection of rhododendrons, azaleas and magnolias with marvellous colours in the Spring. There is an Australasian arboretum with wild flowers and shrubs. Good autumn tints with acers. 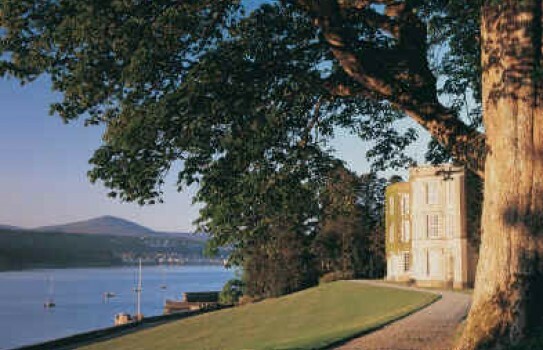 Woodland walks, adventure trail for children, guided walks at Plas Newydd by arrangement. The house is famous for its Rex Whistler exhibition of paintings. There is also a military museum with items from the Battle of Waterloo. It also has a fine interior with beautiful rooms and furnishings. Restaurants, partial disabled access, plant sales, restaurant. Free entry for NT members, see offer below. If you want to take a break near Plas Newydd Garden, why not stay in one of our recommended hotels. Each hotel has genuine guest reviews enabling you to book from anywhere in the world in total confidence. Not only do we feature hotels near the garden, we also feature hotels worldwide and at all major airports. Special prices up to 70% off standard rates as well as hundreds of exclusive deals. Look now - click here.